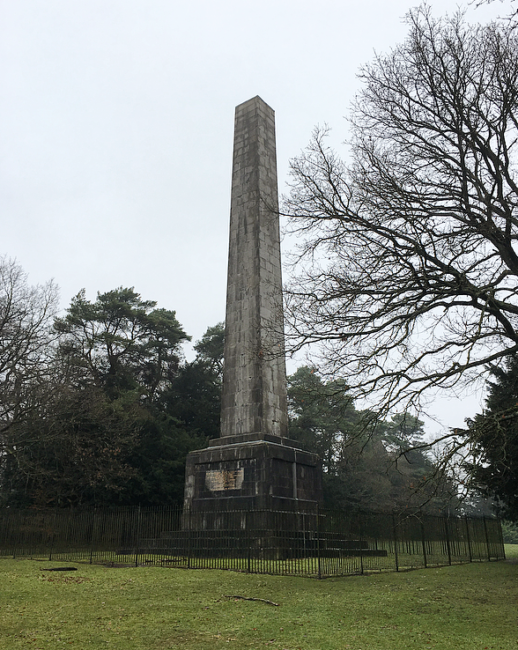 Today’s Friday photo is of the Obelisk on Monument Hill in Lickey Hills Country Park. The Obelisk is a grade II listed monument made of Anglesey marble, it was erected in 1834 as a memorial to Other Archer the 6th Earl of Plymouth. Other Archer, at the time of his death, was colonel of the Worcester Yeomanry Cavalry and resided at Hewell Grange in Tardibigge Worcestershire, where there is another memorial to him in St Bartholomew’s Church. Erected by the Worcestershire regiment of yeomanry cavalry to mark their lasting gratitude to the honoured memory of their beloved and lamented colonel commandant and by the county at large to commemorate the disinterested, solid and efficient public services and to commend to imitation the exemplary private virtues of Other Archer sixth earl of Plymouth.